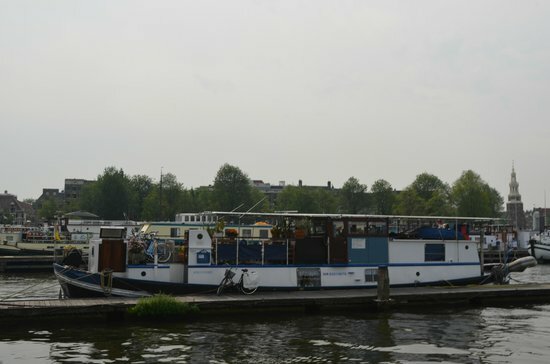 You can rent certain houseboats in Amsterdam as you would a Bed & Breakfast or a hotel. That will be a real unique Dutch experience. Amsterdam consists of 165 canals and there are around 2400 Amsterdam houseboats. Living on the water has always interested people. Tourists who visit Amsterdam and walk along the canals, will see the houseboats and wonder how it is to live in one. It's easy to find out -read below my reviews of some of the most popular houseboats available for rent right now! Review: Bed and Breakfast Houseboat Little Amstel offers modern accommodations aboard a luxurious houseboat. Located in the heart of Amsterdam, it offers easy access to most tourist attractions. There are two beautifully designed rooms inside with en-suites and private entrances for complete privacy. The rooms are comfortable and include modern amenities like coffee and tea makers, comfortable bed, full bathroom and flat screen televisions. Breakfast is served each morning on the terrace or in the room. 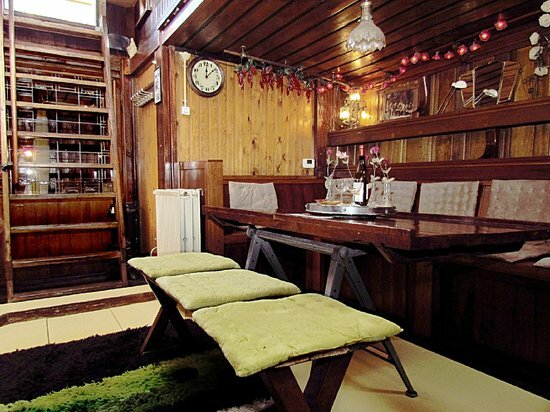 The suites are surprisingly spacious considering it is a houseboat. Little Amstel is a fun Amsterdam houseboat, and a great alternative to usual hotel rooms if you're looking for something unique. 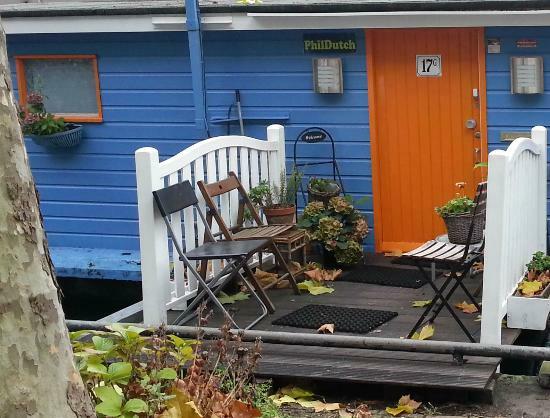 Review: PhilDutch Houseboat Bed and Breakfast is a modern Amsterdam houseboat located in the heart of the city. It is minutes away from attractions like the Van Gogh Museum, Amsterdam Canal Cruises and Rijks Museum. The location itself is quite blissful. The rooms offer beautiful views of the canal, quiet and serene atmosphere. The houseboat has two rooms with a shared bathroom. The smaller room includes coffee and toast making facilities and a comfortable bed. The larger room is quite spacious and is a complete suite with a balcony and a full kitchen. While the bathroom is shared, it is quite spacious, modern and clean. 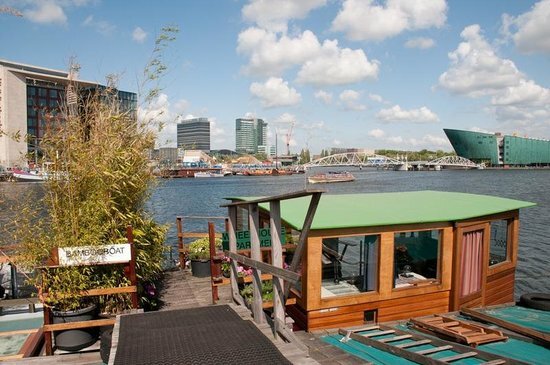 Review: Located in the city center, the Amsterdam Love HouseBoat offers close proximity to tourist attractions like Waterloo Flea Market, Dam Square, Central Station, Red Light District and China Town. It is a smoke friendly house boat with spacious sun decks, fully furnished rooms, free internet services and spacious bathrooms. 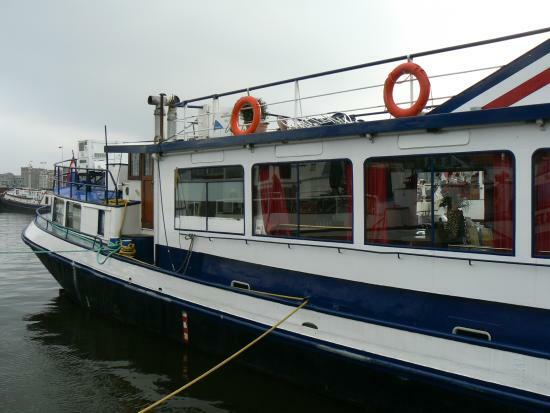 The house boat has plenty of living space with comfortable seating and fully equipped kitchen and dining area. The owners are quite friendly and welcoming. The décor of this lovely Amsterdam houseboat is charming and a mix of old with the new. Private parking is available upon request if you talk to the owners in advance. Review: Hotel Nova House Boat is located minutes away from Central Station, close to all amenities and attractions in the city. It offers beautiful views of the city, luggage storage and parking space for bicycles. The décor of the hotel itself is quite simple and clean with carpeted floors, free internet in all public areas and shared bathrooms. The rooms are heated and have hot water facilities. Guests can enjoy their stay in a comfortable bed and a Dutch breakfast that includes tea, coffee, pastries, cheese and bread. The bathrooms at this Amsterdam houseboat are shared but they are kept clean, have a shower and are good size. 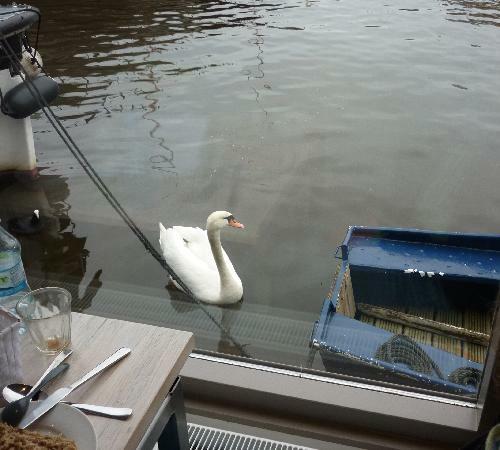 Review: The Bamboo Boat is located in central Amsterdam, opposite the Central Station. It offers beautiful views of the city that can be enjoyed from the spacious balcony. The house boat offers apartment type accommodations with all the facilities you need. With features like central heating, log burning fireplace, balcony and hot water, it is definitely quite comfortable. The rooms of this Amsterdam houseboat are designed beautifully with a full kitchen that includes a gas oven, nespresso coffee machine and much more. Rooms also include large sized televisions, spacious bathroom and quirky décor to lend it an interesting appeal for those looking for a unique place to stay. Review: Boat and Breakfast de Dageraad is a fully renovated Amsterdam houseboat with private bathrooms and luxurious guestrooms. This is a converted barge with a private entrance and a breakfast kitchen where guests can enjoy beautiful views of the city on the terrace during the day. Since the houseboat is located a little further away from the center of the city, expect a 15 minute train ride to reach most attractions. The rooms are quite beautifully decorated and the breakfast served is quite impressive. Bikes can be rented from the owners and free discount coupons for attractions in the city are offered to guests. 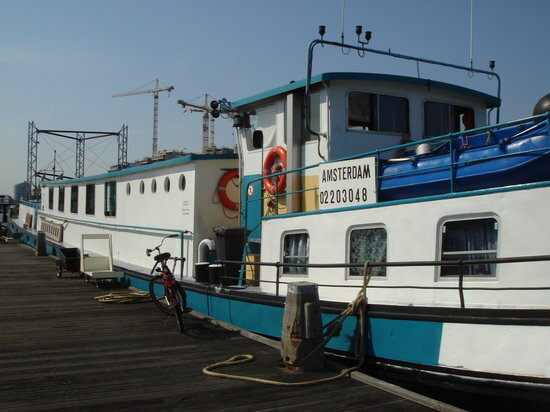 Review: Hostelboat Anna Maria is an Amsterdam houseboat located in the center of the city in Amsterdam's harbor area. The houseboat has comfortable non-smoking guest rooms with beautiful views of the water. It enjoys an excellent location and offers quick access to the Dam Square, Museum Square and Central Station. Each guest room has a washbasin but bathrooms are shared. The guest rooms are simple, clean and of adequate size. Breakfast is included in the price of each room and is served in the charming breakfast area every morning. Guest rooms with private bathrooms are also available. The owners are quite friendly and helpful. 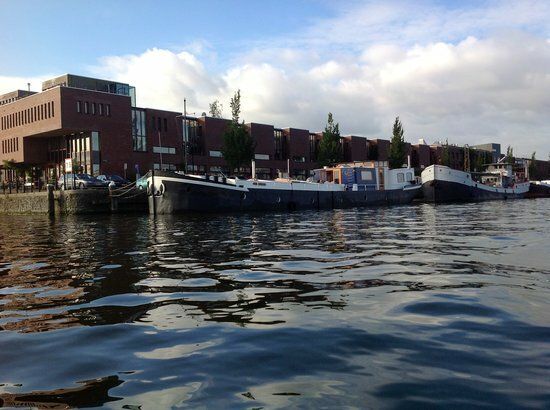 Review: Amsterdam HotelBoat offers convenience and affordability. It is located in central Amsterdam, just a short walk away from the Central Station. The guest rooms and public areas are kept quite clean. The rooms are rather small and often with bunks. The cost of the room includes a buffet style breakfast. Bathroom facilities are shared by guests but they are always clean and are spacious. This Amsterdam houseboat also has several public areas like the living room, deck and kitchen where guests can socialize and get to know each other. The owners are quite helpful, friendly and eager to accommodate the needs of guests.